ghd SS14 Trends and Exclusive Blogger Photoshoot! 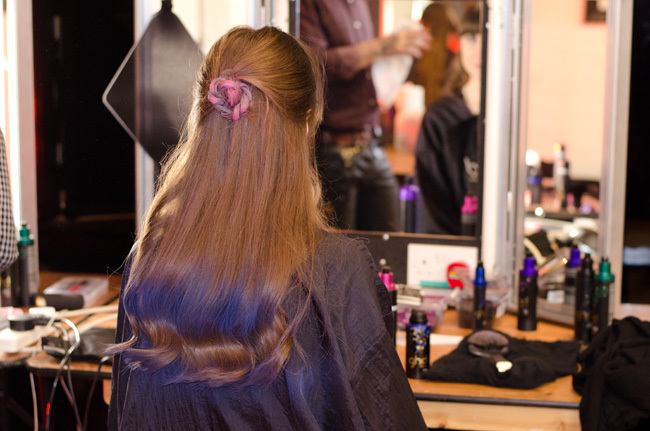 Last November I was invited to attend an exclusive ghd photoshoot, I was treated to a nibbles, champers and delicious grub while watching the experts at ghd transform models with all the hair trends for Spring/Summer 2014. 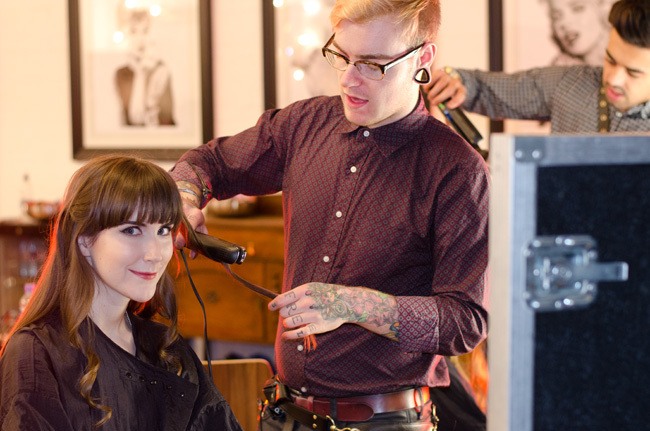 I had so much fun witnessing what goes on behind the scenes of a ghd hairstyles shoot! Not only did I get to observe the beautiful models working it, I had my hair styled and got my 'pose on' in front of the camera. The event was organised by Best British Bloggers and uber babes Kylie of Memoir Mode and Hannah of Hannah Louise Fashion were also in attendance. I always have the best time with Kylie so I was super stoked when I found out she was going too! We started drinking Moet in the morning and ate some snacks before we were introduced to the styling team. They talked us through the huge hair trends for SS14, including 1990's Hip-Hop, The Look of Love, Don't Care Hair and Freedom of Youth. The stylists were working on some exciting hairstyles and it was really interesting to learn where their inspiration came from. They also had huge mood-boards next to their workstations so they could be inspired as they created their hair masterpieces! It was then time for our makeovers, I was really happy with my subtle smokey eye look and *almost* red lip - If only I had my own personal make-up artist to sort me out every day. After we were all glammed up, the food arrived and I tasted MEATliquor for the first time. Oh boy! Best burgers ever. Rose hair detail with lilac/purple colour and blue at the ends. We then got to meet the fashion stylist for the day and we were all swooning over her wardrobe and the SS14 samples...Waaahhh! Being a stylist must be the best job ever because she said it feels like you're shopping all the time, even if it's not for you. 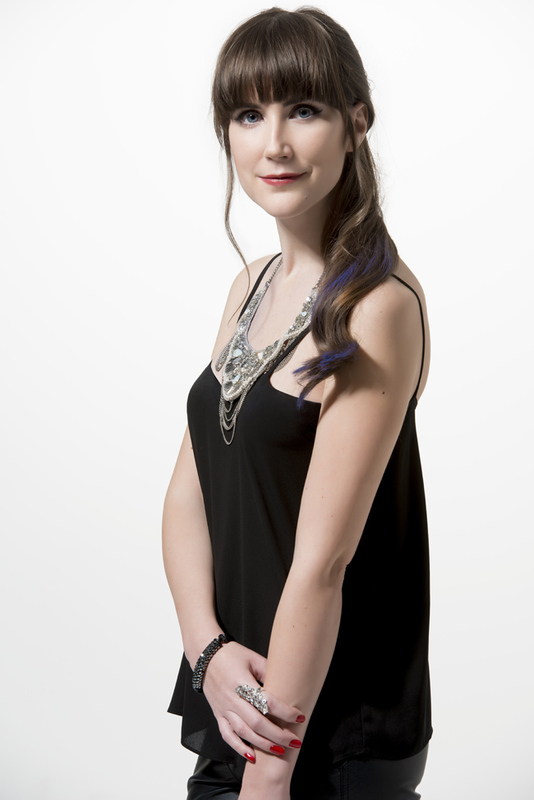 After a quick makeup touch-up, I had my photos taken! I went last because I never really know how to act in front of the camera and I knew Kylie would be a pro. Unfortunately, I lost track of time and only had about 15 minutes to take photos before my taxi arrived. Time flies when you're having fun! Thank you so much to ghd and Best British Bloggers for having me! T - Are you looking forward to trying a particular SS14 hair trend? I love the simple small ballet bun I've been seeing recently but my hair won't do that as I've just had it cut shorter! Wow this look amazing, you look amazing! Oh my. I don't know how many times I can hit on you before it becomes creepy but you look amazing!! I love the pink and blue hair and your skin is flawless. Those eyes too. You little heart breaker! I hope you had the best day! Your hair looks gorgeous! I love the lilac/purple and blue highlights. I like your Topshop cami. It makes a nice subtle background for your beautiful jewelry, hair, eyes and makeup. You, Kylie and Hannah all look like celebrities. I've already said it on Instagram, but you look frickin gorgeous here! I love your hair like this & the little bun at the back is so pretty! I've wanted to try out the pastel ombre trend for ages, but the various versions of the chalk I've had in goodie bags & beauty boxes just don't show up on my dark hair :( I am super awkward in front of a camera too, so strange when we are kind of used to it, but when it's anyone other than Ollie I go all weird & shy! Hah! © The Style Rawr | All rights reserved.